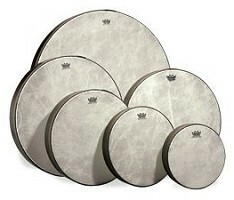 This page lists the range of different drums that I use in my workshops. They come from all over the world and are associated with different cultures. Most of these drums are played by hand and each has a unique playing technique that helps give the drum it’s particular sound. The djembe drum originates from West Africa. It is made with wood and goat skin. Traditionally it would have been played during festivals and ceremonies in the villages of Mali, Guinea and eastern Senegal. Today it is a very popular drum and can be found all over the world. The surdo is a deep sounding bass drum from Brasil. It is one of the drums played by drummers who play Samba music. The darabuka is a goblet shaped drum from the Middle East. It is very light, and is often made from aluminium with a tight plastic skin. 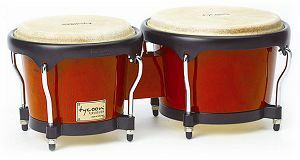 The tubano is a modern drum based on the Latin American conga drum. It produces a nice mid range soft sound. The frame drum is a drum type that is found all over the world. Popular versions are the North America buffalo drum, the Irish bodhran, and the North African tar and bendir. It is the earliest skin drum known to have existed. The Ashiko is a hand drum shaped like a tapered cylinder. It comes from Nigeria. The bongos are two drums of different sizes joined together. They originate from South America and are particularly associated with Cuban music. The Kenkeni is a small sized bass drum from Guinea in West Africa. It is made with wood and cow skin. The Sangban is a medium sized bass drum from Guinea in West Africa. It is made with wood and cow skin. The Sangban is a large sized bass drum from Guinea in West Africa. It is made with wood and cow skin. The Agogo drum is a modern double headed handheld drum that is modelled on the Agogo bell.